The Melvin Group, LLC: an international project management and project controls consulting company based in Miami, Florida. In today's highly competitive global marketplace, you have to be able to anticipate changing market conditions and requirements. No matter the size or complexity of your project management and project controls needs, The Melvin Group, LLC and its associates, have the knowledge and experience to assist your company. 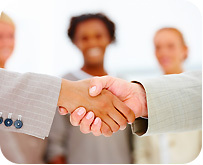 In addition, The Melvin Group, LLC is aligned with associated companies to meet your needs. We firmly believe this will lead to a long-term working relationship. We strive to make our client's winners! We, at The Melvin Group, LLC help our clients to solve their most difficult problems by utilizing skills and knowledge in coordinating, organizing, planning, scheduling, directing, controlling, monitoring and evaluating activities to meet clients and projects goals. We utilize project management processes to aide your company in meeting project objectives. We can provide all aspects in the management of a project from inception to closure. Our goal is to assist you in delivering a successful service/project/product. The Melvin Group, LLC can assist your company in meeting the project control needs for your company, corporate wide or project specific. We are experienced in implementing project control systems, process and procedures. Our processes for monitoring and controlling resources help your company meet its objectives. We can help by providing front end planning, establishing project cost and schedule baselines, measuring project performance, providing project analysis, recommending appropriate corrective action and forecasting.